An intriguing combination of sweet and floral makes this not just your everyday cake. 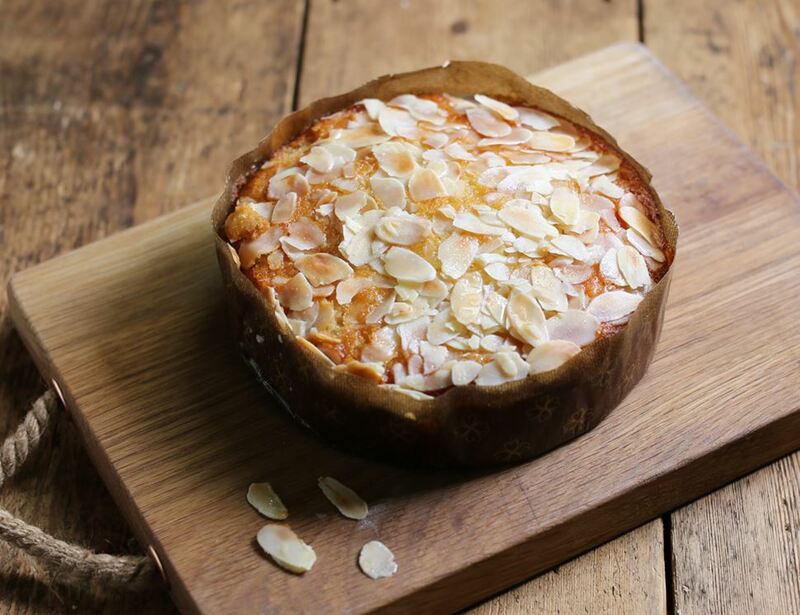 Full of rich golden honey and topped with a dusting of flaked almonds, it’s Springtime baked into a delicious treat that the whole family will love. It's one part of the Authentic Bread Company's Spring/Summer loaf collection, and if you're in the market for an after-dinner treat, it's a winner whatever way you slice it. Up Strawberry Hill in the village-y town of Newent, Gloucestershire is the award-winning Authentic Bread Company, a place where bread is made like it should be – with good-quality organic flour, yeast, salt and water. “None of our bread products contain improvers or additives, and, as always, we strive to provide products that are both organic and of high quality,” says Authentic's founder Alan Davis. “For us, taste rather than cost is paramount!” You can taste the difference! Now his three children have taken the reins, and they share his infectious passion for making bread the main event again. Store in a cool, dry place. Once open, store in an airtight container and consume before the best before date. Not suitable for home freezing.